As the UK’s largest paintball provider, Delta Force Paintball is able to offer great value paintballing packages to players looking for an adrenaline-filled and fun day out. We offer great value paintball packages starting from £9.99(1) per person for players aged 8+ years and up for all types of paintball events including birthday parties, stag and hen celebrations and corporate events. A full day of paintball at any one of our 35 UK paintball centres includes access to a range of movie-set quality game zones featuring themed props. Each player is also issued with top-of-the-range paintball equipment including combat suits, padded body armour, full head helmets and the latest semi-automatic paintball gun. We like to ensure the highest quality experience for all players and offer great deals to ensure this popular sport is affordable and accessible to as many people as possible for all when booking a full day activity. For parents booking children’s parties we offer a range of packages to help plan the day, differing only in the number of paintballs included per child. You can find out more about our paintball prices for players aged 10-17 years as well as check out the itinerary to help plan your day out. 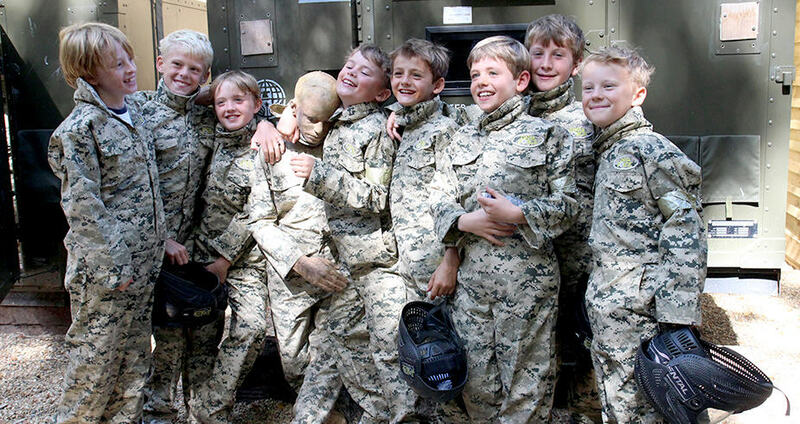 Our Mini Paintball events for 8-10 year olds are great for children’s parties and allow parents to know the total charge in advance. You can find out more about mini paintball prices or complete the enquiry form and an event coordinator will call you back. Our full day entrance and equipment hire for players aged 18+ years starts at £9.99(1) per person and is great for people with varying budgets as each player can determine how many paintballs they will use throughout the event. For the latest paintball updates and exclusive access to special offers at Delta Force Paintball, you can sign up to our mailing list. 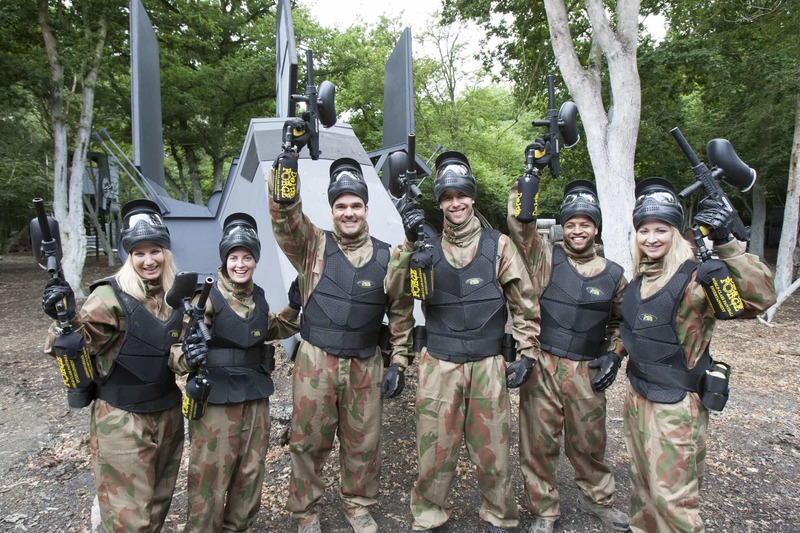 If you’d like to book a full day adventure at any one of our UK paintball centres, contact a friendly event coordinator on 0203 869 9301 or alternatively you can book online.